We have a whole stack of items we don’t have time – yet – to cover. Look for them in the next few days…we hope. But for now, we can’t ignore the Radio Topic Elephant In The Room. Jeff Kinzbach, with partner Ed “Flash” Ferenc, dominated Cleveland morning drive radio as “Jeff and Flash”, morning drive ringmasters as the “Buzzard Morning Zoo” on iconic rocker WMMS/100.7…until Howard Stern showed up in 1992 and took over top ratings from “Jeff and Flash” not long after. Now, Kinzbach will try to compete for top ratings in morning drive radio again, but this time from an Akron perch. Kinzbach is taking over the morning drive slot at Rubber City Radio Group Akron rocker WONE/97.5, starting on Monday. And as noted, though Daugherty leaves his morning drive perch, he stays in his off-air management role…and will be heard on-air soon from 7 PM to midnight weeknights. The changes mean that former “Tim and Christi” morning drive co-host Christi Nichols and evening host Steve Hammond are out. Kinzbach was heard on the air with Daugherty on Friday morning, and starts his own WONE morning drive show officially on Monday. Kinzbach left the station in 1994. He left Cleveland for Dallas in 2002. He moved back in 2009. Kinzbach has been out of full-time radio since coming back to Northeast Ohio, though he has been doing recent part-time fill-in work at CBS Radio classic rock WNCX/98.5. Regular readers know that it’s not the first time the former Buzzard Morning Zoo-master has tried for a return to full-time radio in recent months, and not even his first try in the Akron market. It didn’t at all go well the last time, when Kinzbach threw his hat into the ring for the Howie Chizek Replacement Sweepstakes. Jeff was one of the auditioners for the Media-Com talk WNIR/100.1 “The Talk of Akron” midday opening…rather unfortunately a hole left behind by the death of 40 year station and talk radio icon Chizek. 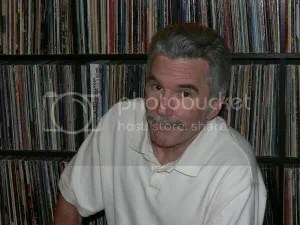 That caller, of course, is the man now known as John “Couch Burner” Denning, the 20-plus year regular Chizek caller who took over the time slot once occupied by his favorite host, and who continues in the WNIR midday slot into 2013. There’s not even a microscopic chance at West Market Street that a regular WONE caller/listener will show up between now and Monday to displace him, so it’s a much better situation for Kinzbach…in that, and many other ways. For one, he’s not replacing a legend…as good as Daugherty is, it’s not he’s like taking over for the late Howie Chizek (and all the expectations that come with that). And of course, Daugherty stays at WONE both on the air and off, and is Kinzbach’s new immediate boss. For another, WONE is a rock station, the format with which Kinzbach is most associated. And, WONE’s audience is not nearly as older skewing as the WNIR talk audience. Finally, WONE’s signal is better than WNIR’s. We’re not talking Cleveland ratings here (yet), but there are plenty of Summit County and Portage County folks who remember “Jeff and Flash” and still should be in WONE’s target demo range. Though it’s not where WONE competes, we’ll be watching if the station gets a bump in the Cleveland ratings…the WONE signal is certainly good enough to reach a large chunk of the Cleveland market, though Rubber City Radio will certainly focus on the “home turf” in its efforts to market and promote the show. Welcome back Jeff!! Rock on!! Let’s not forget that WMMS’ ‘top rated’ status at the height of the Jeff and Flash era was buoyed by ‘public opinion measurements’ which were later shown to be without merit. (Boy am I being kind in my wording of this or what?). So what happens to Steve and Christi, I wonder? Jeff Kinsbach should have gotten the job at the WNIR. I tried listening to John “Couch Burner” Denning for the last few months but recently gave up. You would think that someone who called Howie Chizek every day for the last 15 years would have similar political views, but that’s not the case. Instead WNIR got another Joe Finan, but with an annoying laugh. I no longer tune into that station until after 3 PM. In regards to the “top rated” comment, let’s not confuse response driven popularity polls as in Rolling Stone Magazine with bona fide ARB ratings. The Buzzard Morning Zoo hit ARB number one almost continuously from the Gary Dee/WHK era until 1992 and the Howard Stern era. In one ARB ratings book toward the end of the 1980’s, WMMS posted a 19.7 audience share! That was a high water mark and something not likely to be seen again. Jeff is a good fit at WONE. I enjoy WONE because while the play the “classic” rock tunes they also mix in newer rock so old buzzards like me can hear what’s current as well as what’s been. Good luck Jeff! Show them how it’s done! I found this twitter for WQHS Univision 61: https://twitter.com/Univision61 and it appears that it is operated by staff members from their sister station in Raleigh, NC ch 40. Here is a media kit from their corporate site: http://corporate.univision.com/media-kit/wqhs-univision/#axzz2JxqZBy52 . Though not an official facebook page here is a page: https://www.facebook.com/pages/noticias-univision-cleveland-ohio/217777044927883 Could this be the beginning of a new 6 and 11 PM news in Spanish for ch 61? Heard from 3 sources that 1500 am has been sold to a local businessman who is going to lease 94.3 from Skip bednzyrk and is going to bring back the jamz format. The businessman owns various fast food restaurants and is involved in sports. Grew up listening to the “Home of the Buzzard”.Like ‘Ncx on occasion but liked the hometown feel of “Tim & Christi” but do to my schedule spent most of my time with Steve”The Gatekeeper” Hammond! Great Show and lots of fun working 2nd shift…got us through the toughest part of the day! I guess it’s business, nothing personal…so with all due respect to Mr. Kinzbach, Sandra, T.K., Rick, Brad and Princess in Pink…but No Steve or his”close personal friend” Christi, No Roger!!! My Best to All and I will be lookin for ya Christi & Steve!!! 1330 am and 1500 are off the air even though there is A STRONG rumor going around that Herb Washington owner of various McDonald’s in the valley has agreed to buy at least one AM (1500) and lease 94.3 from Skip B and bring back the jamz format in the valley. From my understanding the 94.3 translator will either be located at the WGFT site or possibly the WFMJ-TV site. As for 101.9, it is now klove with the call letters WYLR (Were Youngstown’s Love Radio) and 107.1 is air what sounds to be K-Love.